«Sibir» has been laid up since 1992 at Atomflot, the service base Russia’s fleet of civilian nuclear powered vessels north of Murmansk. «Sibir» was taken out of operation because of a technical error in the vessel’s steam generator system. The spent nuclear fuel is long time ago taken out of the two onboard reactors, but the entire reactor compartment has to be treated as solid radioactive waste. The decommissioning work will take place at Nerpa shipyard some 20 kilometers north of Murmansk in the Kola Bay. Nepra has decades of experience with decommissioning military nuclear powered submarines leftover from the Cold War. Most of the submarines are now properly cut up and their reactor compartments made safe and therefor Nerpa has capacity to start working on decommissioning the oldest vessels of the nuclear icebreaker fleet. 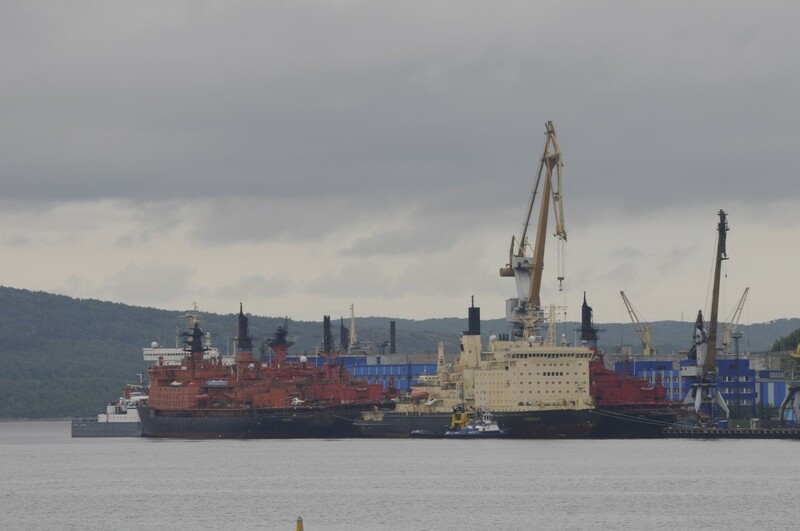 In addition to “Sibir” the sister vessels “Rossiya”, “Arktika” and “Sovyetskiy Soyuz” are all awaiting scrapping. After decommissioning, the reactor compartment from «Sibir» and other radioactive contaminated parts will be transported to the Saida Bay on the coast of the Kola Peninsula where Russia has a giant onshore storage site built with confounding from Germany in support of ensuring nuclear safety. Towing of «Sibir» from Atomflot to Nerpa will take place by the end of October, Rosatomflot reports. A new generation of nuclear powered icebreakers of the LK-60YA class are currently under construction at the Baltic shipyard in St. Petersburg. The first vessel, named “Arktika” is expected to be commissioned in 2018. The year after, the new “Sibir” will set sail towards Murmansk.